Take a ride in one of the most thrilling, scary and exciting roller-coaster ever. Thrill rush 2 provides you with a vivid experience of riding in such an adrenaline packed ride as you play and control the roller coaster ride that just suffered a disaster. 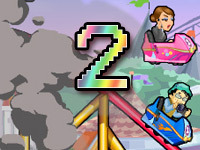 Thrill Rush 2 is the second part of Thrill rush, and it offers an exciting experience with the various unique new characters and roller-coaster cart to choose from.Earn as many points as you can and ride as much as you can to be able to unlock new characters and purchase new items from the shop. 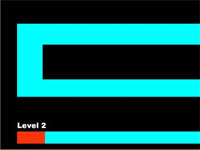 Thrill Rush 2 is an exciting cart riding survival game which requires great reaction time to instantly dodge obstacles and/or to jump between the edges of the broken path. 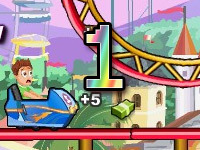 Your character participated in a roller-coaster ride which has turned in to a disaster and scattered the different part of the roller-coaster all over the place, the objective of the game is to survive the thrilling adventure in the stage as you ride in the cart on the roller-coaster path which is broken and damaged in most areas, you must jump with your cart in order to avoid falling down from the frightening height and avoid bumping your head in to obstacles such as rocks or broken parts of the path by ducking. The entire ride has turned in to a disaster and you must save your character by using your skills. 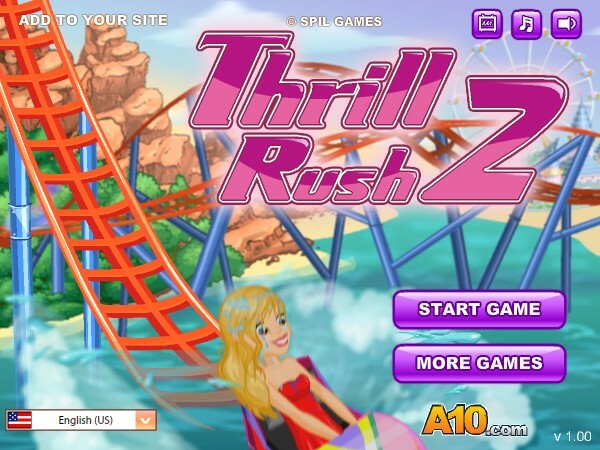 Thrill Rush 2 is quite similar to thrill rush but it offers a variety of different addition of items in the game where different characters and cart designs can be purchased. There are money scattered all over the stage and by collecting these money you will be able to buy anything from the shop. The shop includes a total of 24 carts, out of which only two of them are free to use and the rest must be bought, some of the carts in the shop includes – Shark cart, Scooter, Frog cart, Turtle shell, Cow cart, Mermaid cart and many more. 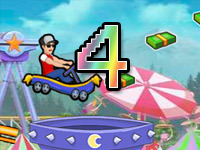 If you wish to ride a different cart you must keep collecting money until you can select from the array of carts available in the store. There are different avatars or characters in the shop as well, the game has added more to the shop in this sequel and each avatar acts and appears quite different to each other. There are a total of 20 avatars, ten of them being female and ten of them being male, available in the game and only two of them are available for use at first so keep playing to earn money and buy avatar that matches your personality or just choose the one that just looks cool. Thrill rush 2 provides two separate stages, which includes – day and night. The difference between the two stages is that,one takes place during the day and the other takes place during the night. Each of them are similar but the stage taking place in the day is available to play at all time while the night being available for only after several intervals. 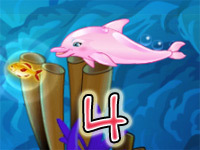 Each of these stage also offers different bonus upon the completion of the levels. The one in the day offers 1000 cash bonus and the night offers 5000 cash bonus. The stage in the night gives a unique experience and excitement for its surrealistic appearance.